Chinese New Year, which is coming up on February 16, is the perfect excuse to indulge in my favorite cuisine. Different foods symbolize good fortune in the new year—health, wealth, happiness, fertility, and more. 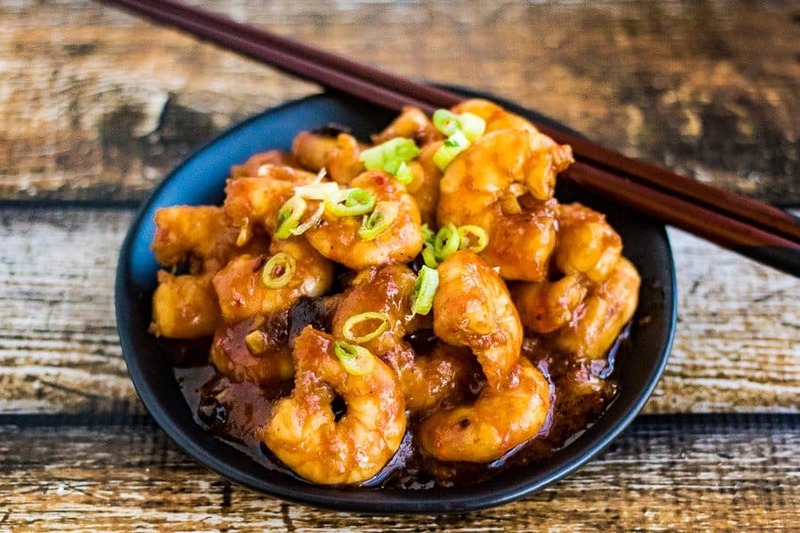 This Szechuan Shrimp will bring lots of laughs in the new year. 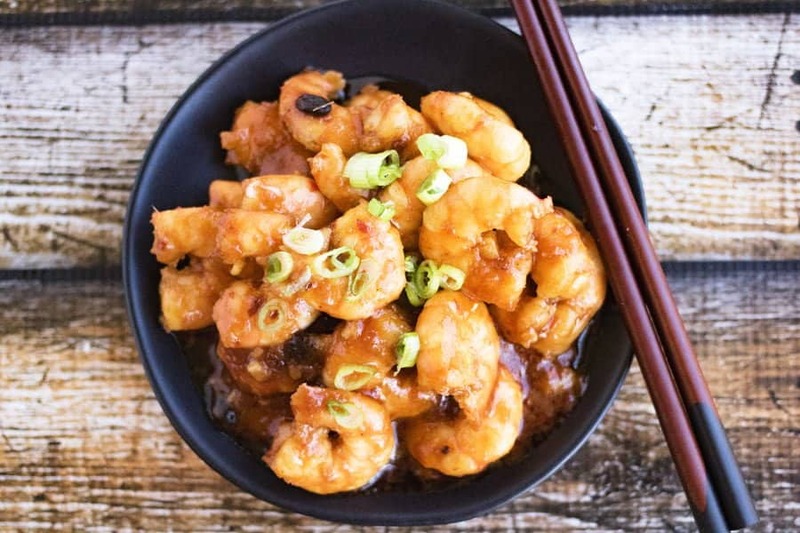 When I learned that shrimp symbolizes laughter (because the word for shrimp, “har,” sounds like laughter), I knew I had to include this spicy, garlicky Szechuan Shrimp in my family’s celebratory meal. 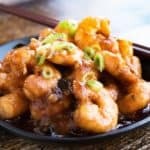 I don’t know about you, but the year of the Rooster hasn’t had nearly enough hilarity, so bring on the shrimp, bring on the laughs for the year of the Dog! 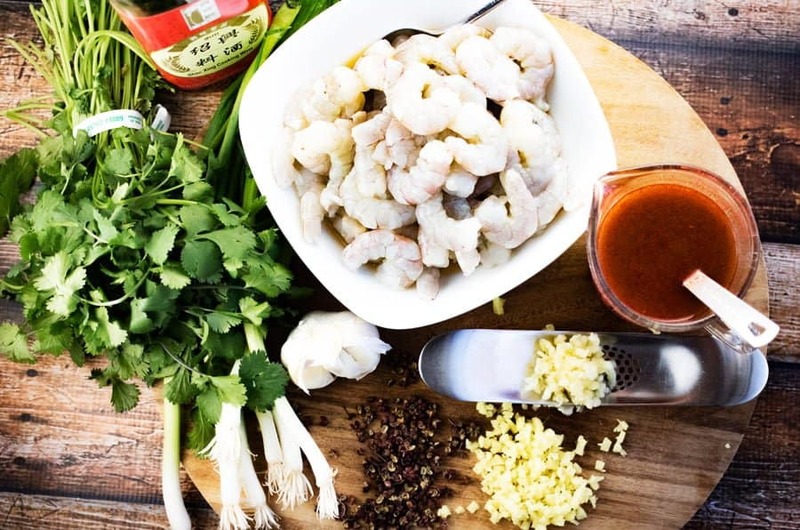 This shrimp is loaded with garlic, ginger, and tangy fermented beans, and it has a spicy kick, too. To make this a celebration-worthy meal, I’m rounding it out with some drunken noodles (they symbolize longevity) made by Ling Ling Asian Kitchen. I’m generally a from-scratch kind of cook, but Ling Ling’s frozen products—including fried rice and potstickers—impress me. These noodles are a great example. 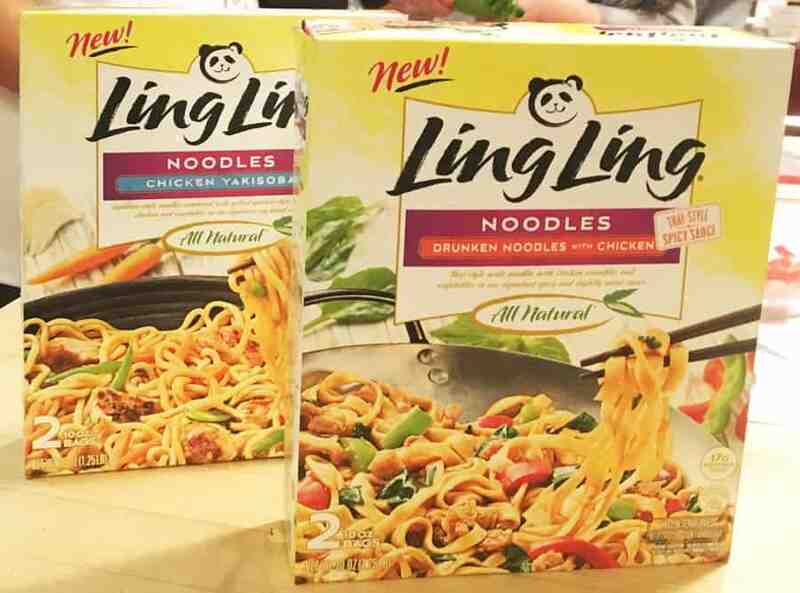 With frozen prepared foods, it’s hard to get either the flavor or the texture right, but somehow Ling Ling manages to do both. The noodles have a nice chewiness and they are deeply infused with flavor. The drunken noodles are a bit spicy and studded with fresh-tasting veggies and juicy bits of chicken. And they are super easy to heat up in a skillet while I cook the rest of the meal. 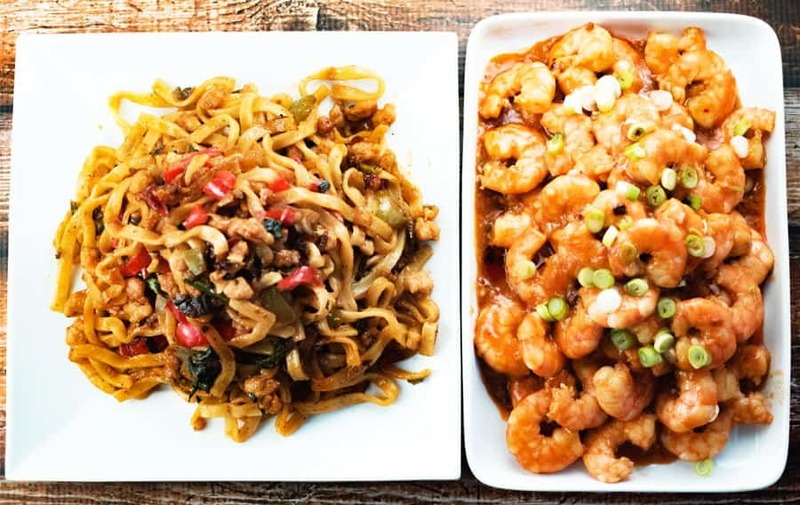 Check Ling Ling’s store locator to find out where you can buy their products in your neighborhood. 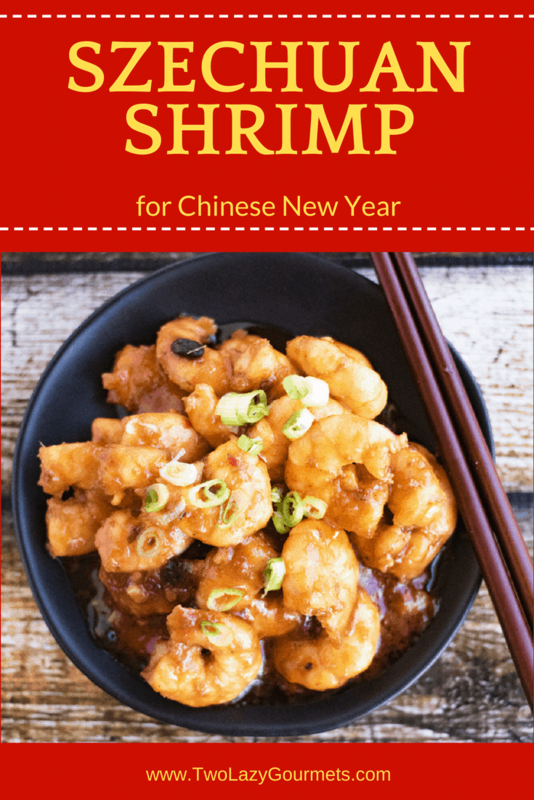 « Chinese New Year–What’s on the Menu?